Earlier I shared a video blog that helps you learn more about the Six Figure Mentors benefits and today I continue with Part 2 in the series about the six figure mentors benefits talking a bit more about my story and how the six figure mentors has helped me. By doing this you maybe able to relate to my story in your own life and see how the six figure mentors benefits can benefit you. If you have been following my story you will know that for 29 years I worked for Her Majesty’s Court Service as a legal adviser, as a qualified UK solicitor. This has been a major part of my life and time well spent as I was able to contribute to society by providing legal solutions in criminal, family, local authority and licensing law. Below I share with you a photograph of one of the latest legal court offices that I worked at. I miss you all but other opportunities called! Property investor in the UK since 2006 where I own 21 houses with my property business partner. The Six Figure Mentors Benefits – What Do We Want? Now, whilst all this has been very enjoyable, rewarding and challenging at the end of the day all we really want is time and money to enjoy life and to spend our time and money as we wish, without the constraints imposed by the 9 to 5 lifestyle or corporate world. Also, many of us, me included, look to improve our cashflow to enable us to have the freedom in life that we want. This is one of the main reasons I sacked my boss back in 2006 when I handed in my notice. Being tied to a court office every day, nine to five, working as an entertainment agent night and day coming home in the early hours sometimes, and being a property investor creates ties and does not free you up to have time and financial freedom. Court office – same routine everyday, get in car and go to court office, sit in traffic, work nine to five and if you want a day off you have to ask… working from home as your own boss you don’t have to do this. You are in charge and can have a day off when you want, or not as the case maybe. Entertainment agency. No time and financial freedom because you are out all ours and have contracts to fulfill. Property investor – tied down by tenant issues and expensive property maintenance bills month in and month out. 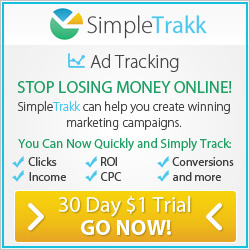 Very high overheads with this type of home business! So what did Mark Ford do to change his lifestyle? I decided to work from home, or anywhere in the world where there is an internet connection, and look for internet home business opportunities. Enter the Six Figure Mentors Benefits! My online research led me to the Six Figure Mentors marketing program and digital business opportunity and ways that I could learn how to be an affiliate and internet marketer, selling other people’s products and my own information products. My work in this direction has led me to be a prolific blogger and I will be releasing blogging products in the future to help you with your article writing. It is the Six Figure Mentors and Digital Experts Academy that has helped me create the time and financial freedom and it can offer you the same. 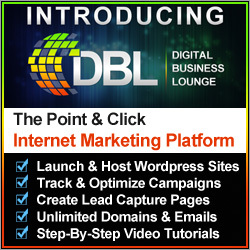 As a member of these internet business training platforms I have been able to travel widely, spend time at events and online with a Community of like minded people, leverage their digital business system that they spend millions of dollars on to develop, learn how to become a professional online marketer, have the time freedom to work from home on my laptop or anywhere in the world where there is an internet connection, be mentored by some very inspirational successful millionaire internet business mentors, and much much more. The Six Figure Mentors Benefits – Lets Look At Some More! Let’s look at one of those. You know one of the best things about this is to do what you love and be in a position to provide for those you love and cherish. I enjoy taking time out to spend it with my son, Daniel Ford when I want to and to enjoy time with family and friends. An internet business and the Six Figure Mentors gives us the opportunity to take time out when we want and spend more time with the family. So where is all this leading Mark? A great question. By sharing a bit more of my story and by eventually finding the Six Figure Mentors online as a solution that has enabled me to get the time and money we all want, leveraging their excellent internet marketing centre and training, it should help you relate to this if it is also something that you are looking for. So, if you are serious about building an alternative lifestyle, you are entrepreneurial and you will invest time and money into your future and your families future, then I can offer you two choices today. 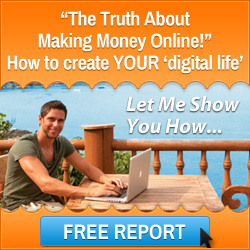 The same choices I was given when I started to build an internet business all those years ago. 1. Just get started by clicking the Six Figure Mentors banner below, watch the video presentation through and make an application for a Six Figure Mentors student account. 2. 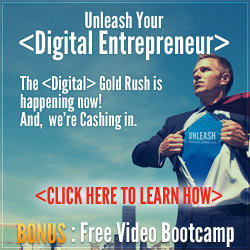 Click the banner below to get a complimentary video training series and information pack. This entry was posted in Six Figure Mentors and tagged mark ford, six figure mentors benefits, six figure mentors business, start internet business. Bookmark the permalink.